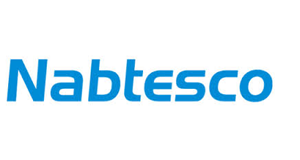 Nabtesco provides high-performance reduction gears, hollow-shaft gear heads, and single-axis servo actuators and controllers. Its equipment provides large torque, high-ratio, and significant shock-load capabilities with extreme precision and very low backlash. Nabtesco equipment is used to improve system functionality across a wide range of applications, from satellite antenna and military/defense to robotics, semiconductor, and welding. The company employs over 4,000 people and has numerous manufacturing plants and sales/support offices around the world. 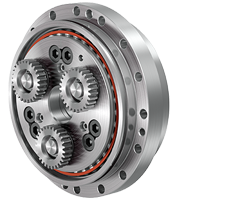 Reduction gearbox with a right-angle solution and universal motor shaft connection for applications with tight space requirements. Reduction gearbox in a smaller and lighter design. 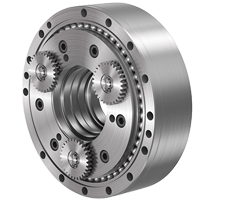 This new design allows the gearbox to be used with ease across a wide range of industries. 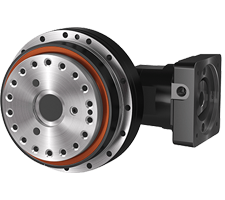 Reduction gearbox with hollow shaft configuration (up to 5 diameter) for more system design flexibility and greater space saving options.